There are two sides to every story - and in this case both sides are WRONG. If you're lining up to defend CM Punk for walking out of WWE because it's his God given right, you're wrong. If you're lining up to criticize him for not being your voice in the current WWE landscape, you're wrong too. This is one of those rare cases where we need a third side. For some of us who aren't "Paul Heyman Guys" the journey with CM Punk didn't begin when he was in Ohio Valley Wrestling, or when he made his televised debut on (WW)ECW. There are members of his fandom who can date their journey back at least 12 years - and a few who can go back even further. Ring of Honor was arguably his first and best exposure to the wrestling world though, a place where his feud with Raven put him on the national landscape. It was in that venue that viewers caught their first glimpse of the uncensored, outspoken, passionate CM Punk dropping "pipe bombs" long before they were called such. What made him intriguing to me is that he took arguably babyface qualities - not drinking or doing drugs - and made himself a heel by claiming superiority over those who did. It was a theme he'd revisit in WWE years later. This was also the start of CM Punk becoming the self-proclaimed "Voice of the Voiceless," a man who spoke for all the men and women who are straight edge, who feel like a disenfranchised minority in a landscape awash in beer and pills. It was also the start of a segment of the IWC becoming apologists for Phil Brooks. That happens for everybody who rises from the masses to stardom. There are apologists for Miley Cyrus and for Justin Bieber. There were apologists for Michael Jackson and Kurt Cobain. It's easy to appoint one person as a hero and judge them sympathetically, and sweep away any arguments about their misdeeds as misplaced jealousy. The apologists will say that CM Punk is right to walk out on WWE. It wouldn't be the first time he's made demands and then walked away if his demands aren't met. It's actually proven to be a pretty good negotating tactic over the years - one that has garned a lot of people a lot of power in all forms of entertainment. In fact it worked brilliantly for one Terry Bollea b/k/a Hulk Hogan - someone that Mr. Brooks may or may not be thrilled to be compared to. Perhaps he'd rather be compared to Steven Anderson ('Stone Cold' Steve Austin). It doesn't matter. The point is that they'll say it works and they're right. If you walk away from WWE and make them beg you to come back, you shift the power dynamic in your favor. You can demand ice cream bars with your face on them. He was obviously being silly and facetious when he said that to Vince McMahon, but an "ice cream bar" can be anything you want - and clearly it wasn't a match with Triple H at WrestleMania in 2014. Now since we don't live in North Korea and WWE is not a labor camp, Phil Brooks has the right to walk away from his contract to sit at home and do nothing. At this point that's virtually all he can do until his contract runs out, and for all intents and purposes he appears to have made that choice. If he was going to come back there's little doubt he would have done so in his hometown of Chicago, which may have more CM Punk apologists per capita than anywhere else in the United States (or the world). He wouldn't have to justify his reasons for walking out - even though he'd probably drop one of his famous "pipe bombs" anyway just for the huge reaction he'd get. It is his right to walk out. Wrestling is a grueling business. Any sport grinds up your body, and sports "entertainment" can grind you up even faster. If you decide you're not going to abuse your body because the rewards aren't worth it, and a match with Triple H is one of those rewards, no explanation is needed. Sit at home. It's not that simple though. If we're all being honest about this, Phil Brooks craves the attention, the spotlight, the adulation and even the hatred. It's what makes a wrestler great, or any entertainer for that matter - they don't shrink from the spotlight. CM Punk spent 15 years getting to this point, getting people to care about what he said or did, and not because he's your champion or "the voice of the voiceless." There's an inherently selfish reason for being a superstar, and that's to feed your ego, and if you don't have an ego then you're probably not one. You have to think you're great, believe you're great, and act like you're great even when it rubs people the wrong way. There are no shortage of people who will confess that CM Punk has rubbed them the wrong way over the years, and my guess is that right now Vince McMahon is one of them. The size of the monster you become is directly proportional to the size of the ego you feed. Justin Bieber became America's Most Hated (and perhaps Canada's too) by his disproportionate sense of entitlement that due to the fact he can sing well he can get away with anything. If you think there's not a parallel here you're mistaken. CM Punk can do things as a wrestler or with a microphone that very few of his peers can, and he knows it, and he's worshipped for it. Therefore even when he claims to be the "voice of the voiceless" what he's really being is the voice of the SELFISH. I'm more important than the company I work for. I can do whatever I want whenever I want. Meet my demands or I won't go out there and put on a song and dance for your fans, and if you don't like my attitude I'll walk away without explaining myself and leave you with egg on your face. CM Punk doesn't owe the fans anything. They don't have the right to demand he abuse his body in a wrestling ring for their entertainment. Given that he doesn't take pain pills or drink alcohol, that probably hurts a little bit more for him (hell a lot more) than anybody else. He's been willing to put up with that pain for years, but it may just be that the toll finally got too great. Fine - no explanation necessary, no apology needed. Walk away. The other side of that coin is that Punk has an ego, and the fans have been feeding it for years, and if he ever gets hungry again he's going to need to come back to the spotlight. It may not be in a WWE ring. It may not be any kind of wrestling ring at all. Let's all come to terms with that idea right here and now. If he's done with wrestling so be it but it's hard to believe that Phil Brooks can be content being out of the spotlight forever. Right now it works in reverse - his silence garners MORE interest in what he's doing and makes people want to have him explain. When he comes back, whether it's for a jiu-jitsu tournament or a cameo role in a movie, you may or may not get the explanation you want. 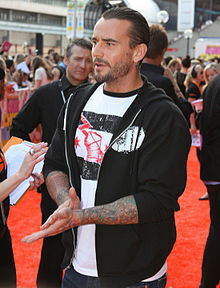 There are two sides to every story, but the third side to the CM Punk story is that both sides are wrong. If you think Phil owes it to you to come back or to explain himself, you're wrong. If you think Phil deserves to get a free pass for abusing his body for all these years, you're also wrong. Here's the third side - the only thing that matters right now is the ego of Phil. Your opinion on either side of this equation, mine included, is a hill of beans compared to whether or not Phil's ego needs to be stroked. Since he doesn't drink or do drugs, he's probably fortunate enough to have saved most of his money, unlike many other famous people who also famously piss their wealth away. If his ego demands the spotlight, he'll return. If he's happy to live on the money he saved, he'll stay away. That's the only thing that matters right now. Chanting his name won't make him return, nor will yelling at him because he didn't come back on Monday. It comes down to ego vs. isolation, and if I were a betting man, I'd lay money we'll see him again - just not any time soon. As another superstar who took the ball and went home once said, "the bottom line" is that two wrongs don't make a right. It's wrong to leave your fans high and dry, but it's also wrong to expect him to answer to those fans and not have a life of his own. It's all up to Phil.